When people think of having cocaine addiction intervention on someone they care for, it is usually because of the sinking feeling that things are getting worse and worse. Cocaine is usually viewed separately from other drugs. For example, there are many movies that glamorize the use of recreational drugs. Marijuana use is one that is often looked upon as humorous. The people that use these drugs in movies are typically portrayed as likable characters that are not really breaking the law. Directors and screenplay writers paint these characters as people that are just having fun. However, when harder drugs like cocaine are used on the big screen there is a different connotation behind this. It’s a much deeper and darker side of the drug world that is hardly ever told from a comedic point of view. Anyone that knows a person that needs a cocaine addiction intervention will agree that this is no laughing matter. To the contrary, this habit is a heart-wrenching sad story that is often told with fallen faces by close friends and relatives that are affected by the drug addicted person. Often times only a cocaine addiction intervention can end the cycle. Cocaine is an extremely powerful and expensive drug. It is also one of the most addictive ones. There are reports that have been done on the different drug types. In the past, cocaine has often been declared as the drug of choice for affluent people. It’s expensive so it’s difficult to truly feed a dependence without a huge money supply. Crack is cheaper than cocaine because it is not as pure in substance. There is also a greater demand for cocaine. These two factors play a major part in the value associated with this stimulant. However, the “price” of cocaine addiction has little to do with it’s a monetary value. There have been myths that say that cocaine addiction interventions are not necessary as it is said that cocaine addiction is not possible because it isn’t physically addictive like heroin. But this is not true at all. 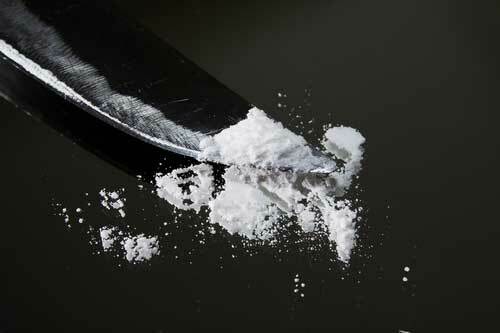 Although there isn’t the strong physical dependence associated with other drugs, cocaine creates one of the strongest psychological dependencies of any other drugs. There are rehabilitation centers all over the world that are treating people for this uncontrollable habit. It’s hard to imagine why anyone would dismiss the facts, but this drug is just as addictive as any other drug. For most addicts, they have become addicted long before they became aware of it. Cocaine is a stimulant mind-altering drug that puts people on a high that is short-lived. It speeds up the heart rate and makes people do abnormal things. People gain a pleasurable feeling from the usage that is considered a high. It is a rather brief high, however, that is followed by a serious low. This extreme low practically forces individuals to consider the purchase of the drug all over again. Some people may be able to kick the habit. The majority of users succumb to their yearnings. Once it is in the system it becomes difficult to function without it. People that have used cocaine heavily will almost get a craving that is similar to food. They will have to find some way to obtain more. Most people will do irrational things like selling their possessions. Some even resort to selling their own bodies to feel the same high that they once felt. The trouble with this is that most people will seldom experience the same high again. The majority of users spend their time chasing that feeling that started the whole thing. Fortunately, there are thousands of drug and alcohol treatment centers that are used to treat cocaine addiction. People that are serious about getting help will usually find a center. However, more often than not, when cocaine is concerned a cocaine addiction intervention is almost always necessary. Intervention Services has been conducting cocaine addiction interventions for over 10 years and can help you to end the roller coaster of cocaine addiction.